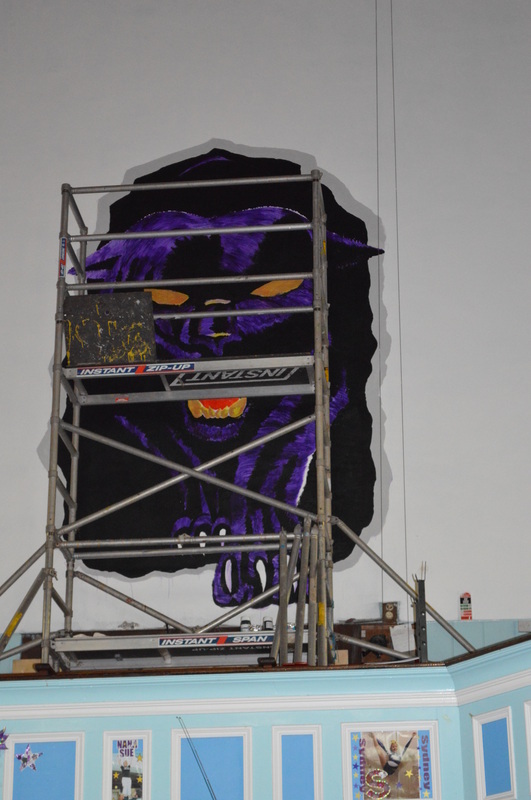 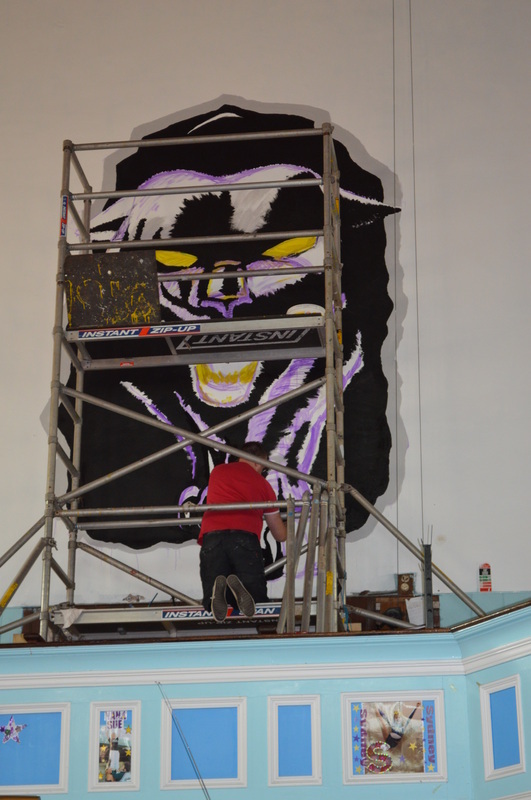 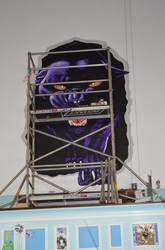 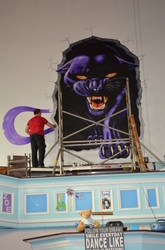 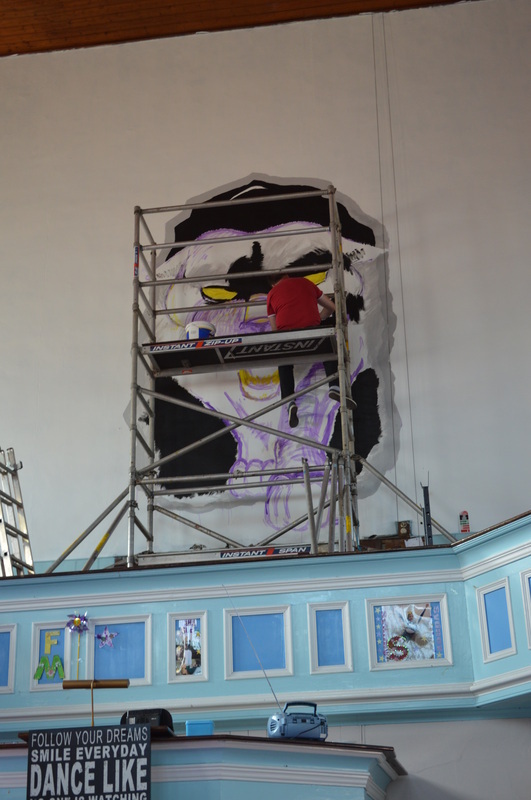 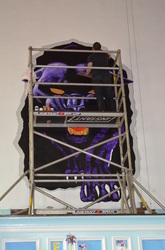 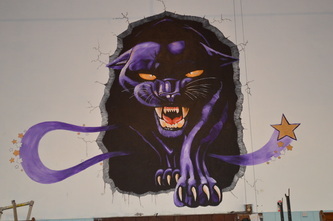 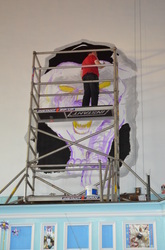 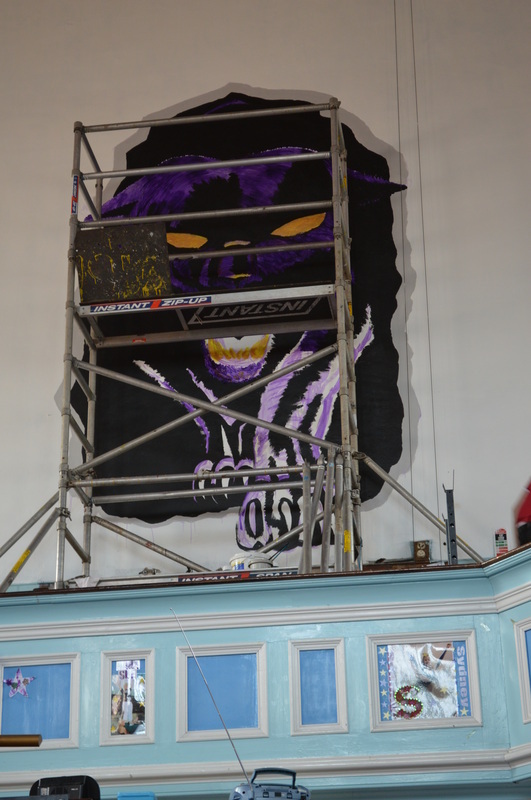 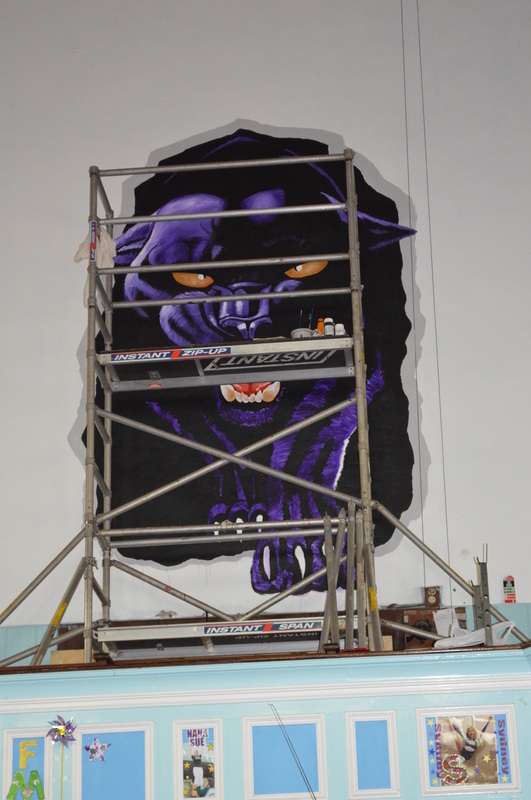 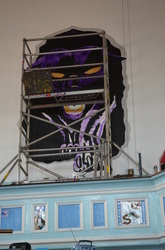 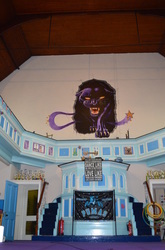 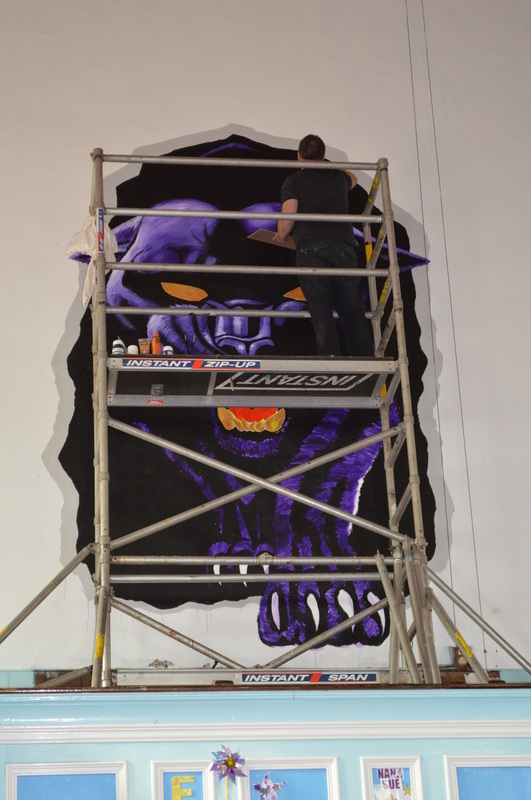 Based in Skelton, Puma Cheerleaders approached me to paint a large Puma (their logo) in their new dance hall - which is a converted church. 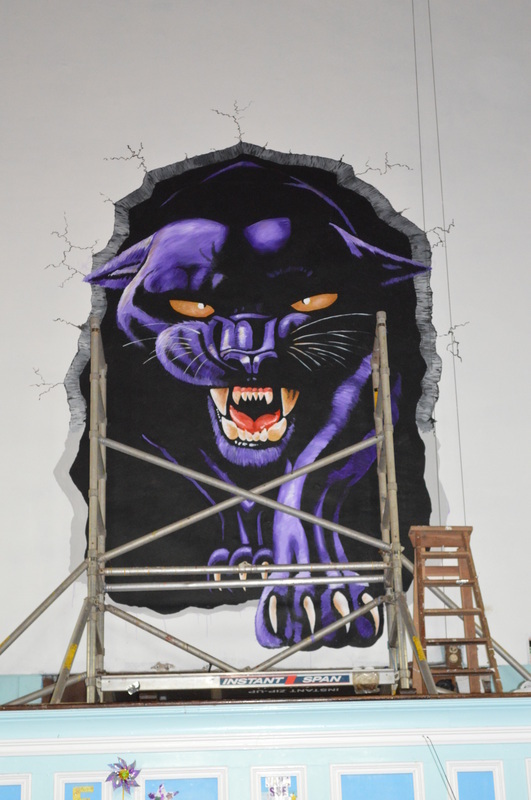 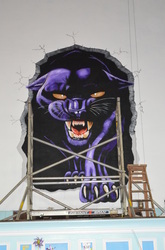 They requested the mural to be done in their uniform colours Purple, Gold and White....they also requested stars to be incorporated within the image. 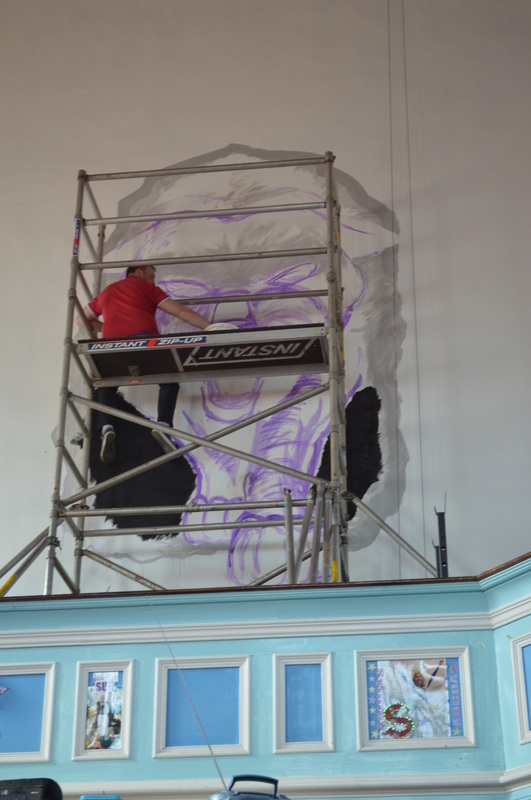 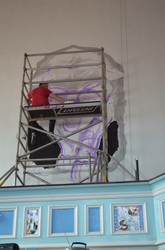 During the initial consultation I offered the suggestion of having the mural look as though it was coming through the wall. 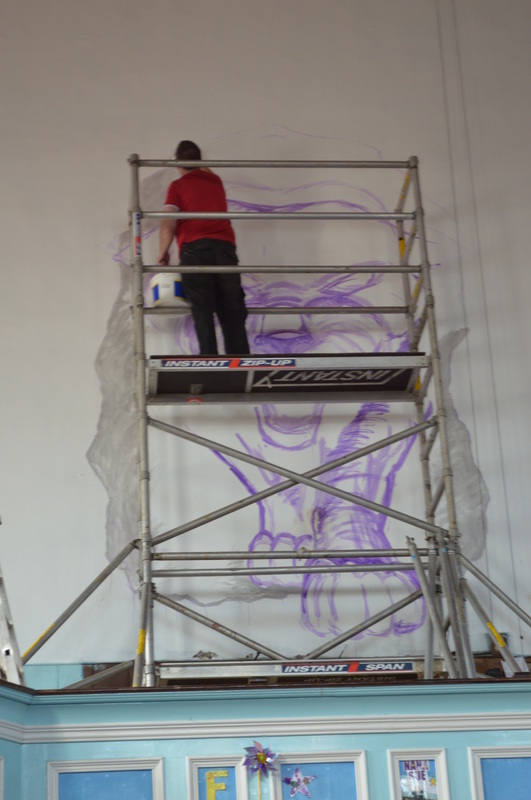 The wall in question was quite a large space requiring scaffolding. 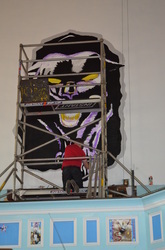 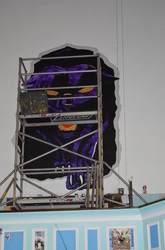 From the ground to the bottom of the image is around 4ft, from the bottom of the image to the highest point the image stands around 20ft tall..... quite large!!! 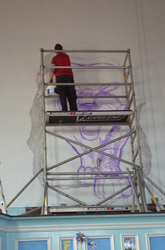 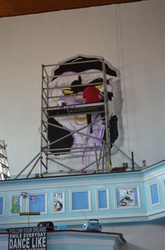 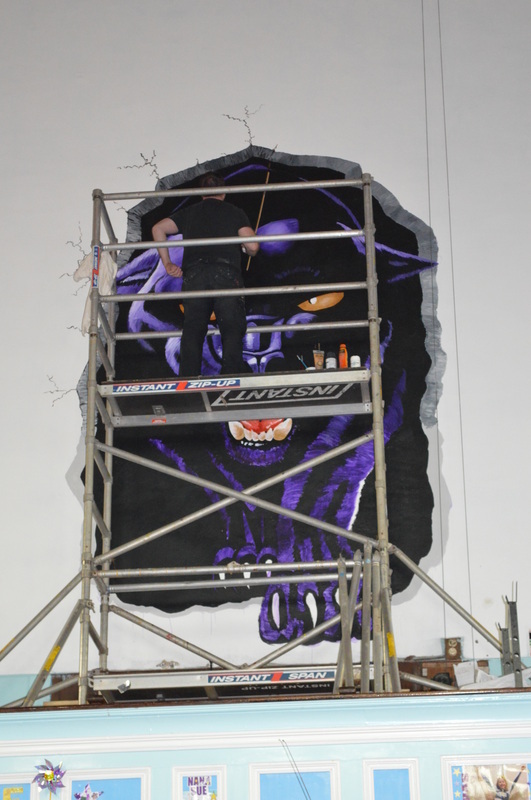 Im just shy of 6ft, you can see in the gallery below how this 3 day project developed.